Christopher R. Palma, M.D., Sc.M. Dr. Christopher Palma is an assistant professor of medicine in the division of Allergy Immunology and Rheumatology. As a rheumatologist he specializes in treating autoimmune diseases such as rheumatoid arthritis, systemic lupus, systemic vasculitis, sarcoidosis. He trained in microbiology and immunology at Johns Hopkins before coming to the University of Rochester NY to complete his medical training. Clinical practice locations include Rochester NY and Canandaigua NY. Research interests include the interaction of infections and autoimmune disease, immunocompetence, vasculitis, sarcoidosis and systemic lupus. Dr. Christopher Palma studied at Yale University where he received a BS in Biology. Thesis work involved the study of evolution of virulence genes in human trypanosomes. He then attended graduate school at the Bloomberg School of Public Health at Johns Hopkins University obtaining as Masters of Science degree in Molecular Immunology and Microbiology. Thesis work involved the study and generation of novel malaria vaccines utilizing live replication competent adenovirus. After graduate school he attended medical school at the University of Rochester where we he was awarded the George H. Whipple award. He completed internal medicine training and specialty training in Rheumatology at the University of Rochester's Strong Memorial Hospital. Currently Dr. Palma is an Assistant Professor in the department of medicine's division of Allergy Immunology and Rheumatology. 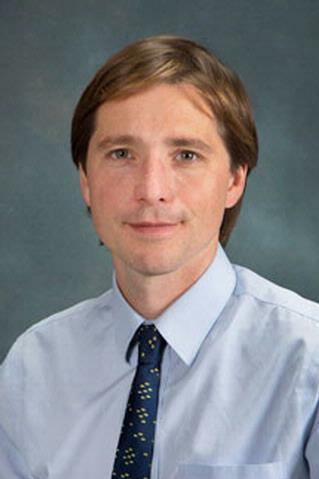 Dr. Christopher Palma is an assistant professor of medicine in the division of Allergy Immunology and Rheumatology. Research interests include the interactions of infections and autoimmune diseases, viral diseases, immunocompetence. Palma C, Overstreet MG, Guedon JM, Hoiczyk E, Ward C, Karen KA, Zavala F, Ketner G. "Adenovirus particles that display the Plasmodium falciparum circumsporozoite protein NANP repeat induce sporozoite-neutralizing antibodies in mice." Vaccine.. 2011 Feb 11; 29(8):1683-9. Epub 2011 Jan 01. Balmer O, Palma C, Macleod A, Caccone A. "Characterization of di-, tri-, and tetranucleotide microsatellite markers with perfect repeats for Trypanosoma brucei and related species." Molecular ecology notes.. 2006 Jun 0; 6(2):508-510.